Brilliant colors and dynamic forms, lasting for few minutes before bursting out - Its all there, but rarely seen. 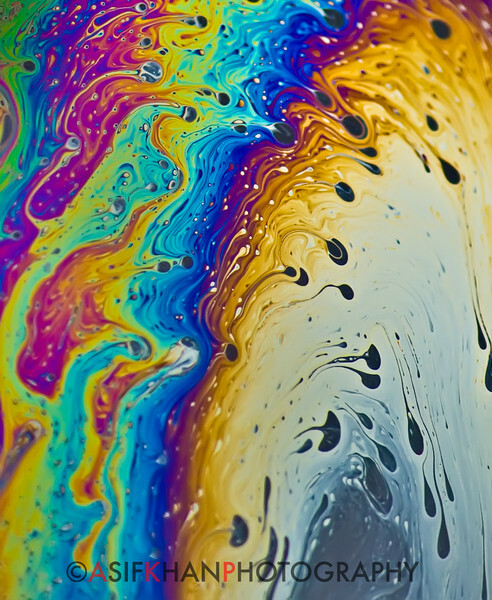 Welcome to the world of Soap film photography. This art gallery is a showcase of photographs of soap film colors & textures formed by interference of light waves. All the photographs are as shot - except for basic cropping, exposure and noise reduction adjustments in Lightroom. The colors & textures seen are all natural - no photoshop ! Hope you like this gallery.